As vital as they are to both our comfort and our health, it’s amazing how many people don’t think twice about their heating, ventilation and air conditioning systems until something goes wrong. At that point, it’s often too late and can require some expensive repair work, especially if you don’t choose the right Morrow, OH, HVAC repair service for the job. Fear not! If you’re having issues with your central air, heat pump or furnace in the Morrow area, Watkins Heating & Cooling is here to help out. We provide only the best HVAC repair, maintenance and replacement services, with a focus on quality customer service that can’t be beaten anywhere else in the region. As technology improves at a breakneck pace, it affects every aspect of our society, including heating and central air systems. This technology makes your home heating and cooling far more efficient and energy saving, but it also means it requires specialized tools, equipment and knowledge to maintain and repair. 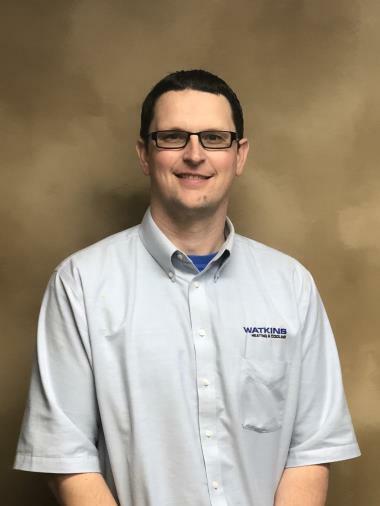 Watkins Heating & Cooling contractors in Morrow, OH, are continually trained with the latest up-to-date information on the technology, inner workings and best practices for maintenance and repair of every major brand and model of HVAC system. No matter how old or new your system is, no matter the manufacturer, we’ll have the skills set, tools and equipment to diagnose and repair the problem. Finding the right HVAC technician can be stressful if you don’t know where to look. For people in the local area, the best HVAC services near Morrow, OH, can be found at Watkins Heating & Cooling. With our team at your side, there will be no stress, no pressure, and no unpleasant surprises. We’ll go over exactly what you need, give you the full price upfront, and let you take all the time you need to make the right decisions or you. We are a family-owned business and have served the Morrow region for generations. That means we’re tied to our community. We’re residents here as well, and we care about the needs of our neighbors. No matter what size of job you’ve got, we’re ready to step up and take care of your HVAC repair and maintenance needs. Of course, the services we provide for HVAC maintenance and repair don’t stop with central air units. Without a properly functioning furnace, not only is your AC going to experience problems, but you could also find yourself in danger of getting sick or even risking structural damage from the cold in your home this winter. It’s important to keep your furnace running as efficiently as possible. The professional home furnace and heat pump repair contractors at Watkins Heating & Cooling can repair any problem you have with your furnace or heat pump, as well as help you find a new and upgraded system if needed. We’ll help you choose the right size of furnace so that you’re not paying too much on utilities or putting too much strain on a system that’s too small. Then, we’ll install the system for you, so you know it’s done right. Why should you call on Watkins Heating & Cooling for your Morrow, OH, HVAC repair services? Aside from our ties to the community, we never farm out our work to subcontractors. That means, when you hire us, you’ve got the peace of mind that only comes from oversight and quality control. We’re so confident in our services we offer a lifetime guarantee on workmanship, and a one-year buy-back guarantee on new installations. There’s no question about it: if you want the best HVAC repair services in the region, turn to the professionals at Watkins Heating & Cooling. Give us a call today for more information, answers to all your questions, or to set up an appointment for maintenance and repairs. Great service by Brian R.
Silver Protective Plan great option! We noticed water coming from the bottom of our furnace. Called for service and had someone there within a day. Repairman thought it was a cracked inducer motor and one was ordered. Put in a couple of days later, but we still experienced water leakage. The only other option was a crack in the heat exchanger. The part was ordered, but for some reason it was over a week before it arrived...we called twice to check on holdup. Finally the part arrived and Brian came and replaced the exchanger on Thursday. So far, so good! We were very impressed with the service that Brian Rudd provided. This was the best service tech I have ever had in my life! He was ready to answer any questions we had! Went above and beyond! The tech you sent was courteous and polite. This visit was a year follow up to a new system I had installed so from the cost perspective their was none. He took care of an air leakage issue I pointed out. Evidently he turned on a "Schedule" in my thermostat which wasn't activated before so after he left I had to take time to figure out why my programmable thermostat was only cooling my house to 85 and in a holding pattern. Once I figured that out I was fine.I had the thermostat set the way I wanted it. I didn't ask for it to be changed or adjusted as part of the service call. Zach was able to arrive at the front end of the appointment time and answered my stupid questions. Thanks Zach!